This may no longer come as a shock to you and the family. But I have made yet another big decision that will change my life. I have decided to quit my job to travel the world. Most people have hobbies. Travelers have lives. I have stopped seeing travel as a once a month, do-it-on-the-weekend kind of thing. It's no longer just a welcome distraction or a pleasant break from reality. Travel has slowly taken over my life. It is my life. I have reached a point in which travel is constantly on my mind. From the books I read, the movies I watch and the blogs I follow. It's all about travel. I'm forever planning my next destination and scheming for the next escape. So I've come up with a plan: To travel for almost 6 months starting in India. Then we're going all over Southeast Asia. Okay so that doesn't really seem like traveling the world. More like traveling Asia. But from there, the possibilities are limitless! Anak, allergic ka ba talaga sa trabaho? Are you allergic to keeping a job? What about having a career and starting a family? Don't you have any concern for your future? What if something happens to you? This is what I believe: Don't be afraid that something happens to you. Be afraid that nothing happens to you. Nothing noteworthy or exciting or breathtaking. I'm more afraid of a life where nothing extraordinary ever happens. I am more afraid of putting my dreams on a shelf and later realizing that I am too jaded or too tired to live them. 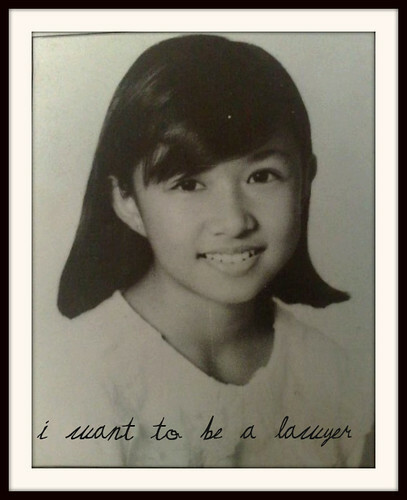 As a child, I have always been headstrong and determined. Now that's a euphemism for gahi ug ulo (hardheaded). You've seen how I've made my own decisions even at a very young age. I never did anything that I didn't want to do. And now I'm all grown up, I've finally realized that all I want to do with my life is to travel and explore the world. Anak, hindi tayo yayaman diyan! We will not get rich doing that! But I've never been motivated by money, fame or a luxurious life. I've valued freedom and independence above most things. And now I need to go on a journey and experience more of the world. I want to seek out my own truths and define success in my own terms. I know it's difficult. But I hope you would love me enough to let me go. Cute yearbook photo...Congrats again Lois, sometimes we follow "dreams" that aren't really our own, rather "dreams" of our parents who obviously want the best for their kids, but in reality, only us will know what's best for us...and sometimes the direction we wanted to head to, aren't the typical path most people do...and kudos to you for knowing where your happiness lies...On the Road! ay panalong letter. mahilig ako sa mga open letter na ganito e.
seriously, i like the last part "I've never been motivated by money, fame or a luxurious life." -ditto! i can't bring that when i die. Panalo kayo girls, many have dreams like yours but only few have the courage to pursue them, hope you both have a great time, find freedom and enlightenment in this journey you're about to embark on, Go Pinays! this is really inspiring! hope to do the same soon! can't wait to hear about your SEA travel posts! more power to you ladies! and when everybody else thought that life is just about working and getting married and all, traveling has also thought me to do choices. hanga ako sa inyo! i hope your fathers will support you all the way (wishing the same with mine, in time na sasabihin ko din yang "papcy, I just resigned!" Hey Kristel. Yeah, what a guilt trip at first. But then I know what I want to do. There's no point in trying to please others if you're gonna be unhappy anyway. Thanks you for dropping by and keep on following our adventures! On the Road Marky! Seems like we are on the same road on the topic of non conformity. Hope we bump into you again in our travels. Thanks Mica and I hope I get steady internet connection in India! Thanks James! I'm glad you feel the same way. I'm more for experiences and not possessions! yey! have fun lois (like i know you will) and be safe always! Go Pinays Claire! Thanks for the boost. It was a tough decision but at some point you just have to follow your heart. Inspire mo din lagi ako Paulie. So glad you were with us even in the beginning! I'm so blessed and grateful to have you as a friend. Good luck din sa start up niyo! Glad I was able to inspire you even a little bit. I know Chichi has something in the works so stay tuned for that. Thanks for following our sole trail! Yes, we're blessed to have family who support us and back us up all the way. Thanks Chyng, maybe in time you'll find the courage but for now, let's enjoy all the adventures we can get! Oh yes I will Je! Hope you keep on traveling as well and go where those itchy soles will take you! 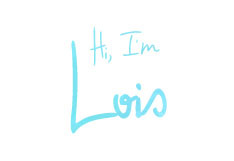 hi Lois! good luck! i love your outlook in life. Hope i can join one of your trips and have the luxury you are enjoying :)) Be safe always. Oh my Ada! It's like we're starting a revolution here Hahaha... I'm excited by scared shitless at the same time. I'm just glad I won't be by myself. Go PInays! Very touching Lois! I wish I can join you along your adventures for just a bit! "Live you dreams, Carl." Words from you Lois and I'm doing something bout it. Hahahaha! . Reading your letter makes me realize that life is short. Tama ka. In life, you shouldn't be concerned of the things that will happen to you but be scared if nothing happens. This is very inspiring! You guys will always be our inspiration. Kiotsukete Kudasai! Take care! We will keep an eye of your incredible journey. Hey Wheng it won't exactly be a luxury because it's gonna be a backpacking trip. But it's more enjoyable for us that way. It gets us out of our comfort zone. Thanks and hope to see you on the road. Oh you're welcome to join any leg of the race Thomas. ;-) It would be great to see you esp. since I haven't seen or chatted with you in so long. Passion is never about the money right? Thank Josiah! Follow your bliss Tiara! I'm sure you can! Awww.. thanks Carl. You have really helped us big time and you are always part of our journey. Hope you guys come out to Cambodia.. Laos... Thailand or whatever. Pick a country! Appreciate it Justin! Hope we see you on the road soon! Wow, this is so admirable and inspiring. Enjoy your journey, Ms Lois! What a wonderful post, this will be such a great journey for you. Thanks for dropping by Karen! We will enjoy it for sure! Ohhh Mikey you get us so excited din. No need to be jealous because I'm sure you'll be traveling a lot yourself. And yes, you are a great cheerleader! Big hugs from Chichi and I! That means a lot Ayngelina. It will definitely be life changing. Any plans of traveling to Asia in the near future? GO! !Whatever your heart desires cuz:) Am sure Papa Lowell will understand.After all, happy is what any father will always want for his child to be. Loveyah! Just take care in all of your travels, ok? Thanks for dropping ny Berry! I will definitely keep everyone posted. Few days left! Eartha! 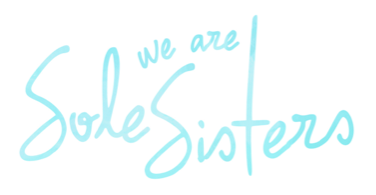 You are definitely part of the sistershood! I'm sure we will share an adventure someday esp. since we are so adventurous. Stay in touch and see you on the road. Thanks for dropping by and for the kind comment cuz. I wasn't sure if the family would understand. But I remember my dad saying he loved me and supported me. That's the important part. Love ya and I will see you again soon. Appreciate it Lil! Maybe Chichi and I will catch up with you on your travels as well. Good luck on your quest for an extraordinary life. Wishing you many happy adventures. Thanks Ferdz, we will follow your adventures closely as well. That's the first time I've heard of the book and now I want to get a copy. 53 countries in 2 years! Wow! Let's see how far Chichi and I can go. And the idea of writing a book about about it doesn't seem so bad either. Thanks for the boost Ferdz! I cannot blame your dad if he feels that way. Based on my own experiences the reason why I cannot travel alot is because I have to support my family. I can only travel 2 weeks the most since I need to go back to work to support myself and my family. Perhaps what your father or your family is in need, we must never forget that our parent's sacrifices. Ask yourselves guys, before you go out and explore the world is my family eating 3x a day, do they still have money for the utility bills and lastly what will happen if they get sick, can I support them. But of course Lois, if its your dream go for it. Thanks for your insight Mike. That situation is true for most Filipino families. We are not always capable of pursuing our passions because of our responsibilities. And culturally, family always comes first. That was a major consideration when I started to plan this trip. Rest assured that when I spoke with my father he understood my passion and he supports me all the way. I believe in living life in a manner contrary to social norms. Why wait until I'm retired and tired to travel and see the world? I have great health now and an able spirit. I think it's perfect timing. Again I appreciate your input and thanks for stopping by. okidoki Lois ipapanalangin kita...pasalubong lang (mga abubot) mula sa lahat ng dadaanan mong mga lugar...Blessings! Thanks Kuya Greg! That helps a lot. Surely, I'll get you abubot. Greets to the fam! I have total admiration of you! The Sole Sisters Guide to Saving up for your escape fund is coming up Mau! go girl!!! goodluck sa lahat ng journey mo! stay safe! Thanks Kat. Glad you can relate to this story. Thanks Vernice. We hope to inspire more people (especially kababayans) to travel and break free from a mundane life. Do follow our adventures! 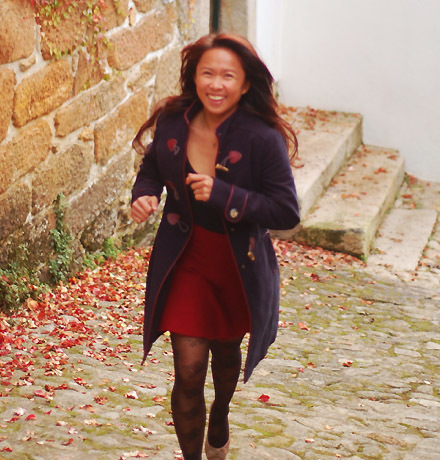 "I have stopped seeing travel as a once a month, do-it-on-the-weekend kind of thing." - are you referring to me here?? ehehe kidding! I'm sure you'll get to a point Carlo where you'll just decide, it's time. I wish you will have that courage soon. Travel is a very rewarding and enlightening experience especially if you do it long term. know it's difficult. But I hope you would love me enough to let me go.' - Hi Lois! Finally told my parents about my plans. It wasn't as hard as I imagined it to be. But they still had a lot of questions, especially the 'success in my own terms' part. But I guess I just have to learn to accept and respect their opinions, and slowly let go of that need for approval. First of all congratulations! It was a really daring move on your part. So you're done with stage one, on to the trip planning stage? I'm really excited for you. How I wish I could also go to Nepal and trek with you! I am absolutely looking forward to seeing you and chatting with you in a week's time! Gustohin ko man pero baka palayasin na ako for good. I have obligations to meet. Sana nga may work and travel at the same time na ikasisiya ko. Traveling is my life. Doing what you did is my dream, in my wildest dream. All the constraints in my life, I'm gonna bump them one day... God Bless you!!! Wow. This letter is so sincere and heartfelt. I can never imagine me writing a letter like that to my dad or my mom, they'll never understand. Like you I've always wanted to travel but, I don't think I ever can.